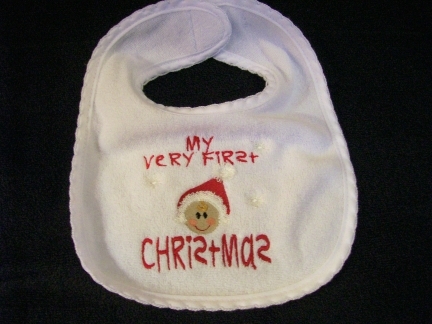 This adorable First Christmas design features a precious baby's face with a Santa hat with fringe on the tip! So cute! Can be embroidered on a bib or white onesie in sizes 6 months-18 months.